Much attention was paid to the effects of blood and dismemberment of enemies. Thanks to that we have reached the effect of deep submersion into the atmosphere of the bloody action. Different types of zombie possess the distinctive features. 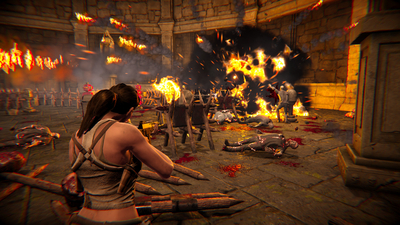 There are enemies with long-distance attack as well as cleverer zombies avoiding certain traps. Wide system of character skills and system of upgrade provide the opportunities to improve weapon and character's characteristics. 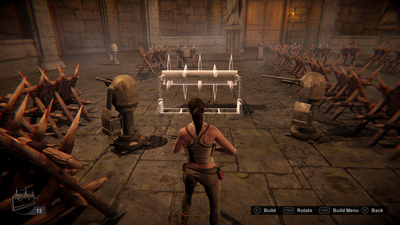 There are traps resistant to the attacks of certain types of zombie. 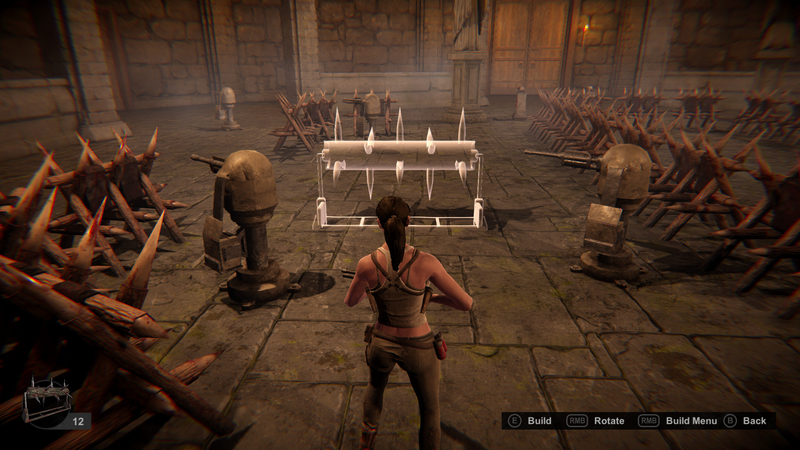 During the game you will earn the survival scores which form your personal Survival index. This is a complex index reflecting not only the duration of your survival and number of conquered enemies but also the quality of your game. Your skills as well as the range of used functional of the game also play role here. Thus, the top positions of leaderboards will be occupied by the true survival kings! 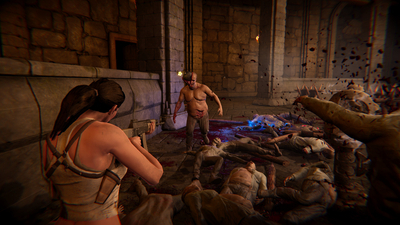 Blood Waves feels like a pale imitation of Resident Evil's Mercenaries mode. Though the traps players can set add some variety, the lack of character and polish in this title is blatantly apparent. Blood Waves would have been an adequate mode tacked onto another full game, a tiny side dish to a main meal elsewhere that could kill 2 hours. Unfortunately, as a standalone experience, it’s lacking in depth, excitement and personality. The trap building, the most interesting aspect of the game, is not enough to make this anything more than an also-ran in a genre that’s seen genuine quality over the years.